In this Christmas special 'Molokai' - It's Christmas morning, but when Carolyn schedules an extra stop-off to the Hawaiian island of Molokai, Arthur has just seven minutes to celebrate Christmas. Stephanie Cole, Benedict Cumberbatch & Roger Allam star in the second series of the hit sitcom about the tiny charter airline for whom no job is too small, but many, many jobs are too difficult. By John Finnemore (‘The News Quiz’, ‘That Mitchell & Webb Sound’). Run by the forbidding divorcée Carolyn Knapp-Shappey (an unfortunate marriage, name wise, but in Carolyn’s opinion, marginally better than Carolyn Shappey-Knapp), her two pilots are the smooth, experienced and almost-certainly-fired-by-a-big-airline-for-all-round naughtiness Douglas, and struggling almost-competent pilot and sweaty man Martin. All-round help is provided by Carolyn’s near-idiot son, Arthur. What a gift to have found another episode. Absolutely hilarious of course. (Molokai follows Limerick at the end of Series 2.). Then series 3, 4 then Zurich. 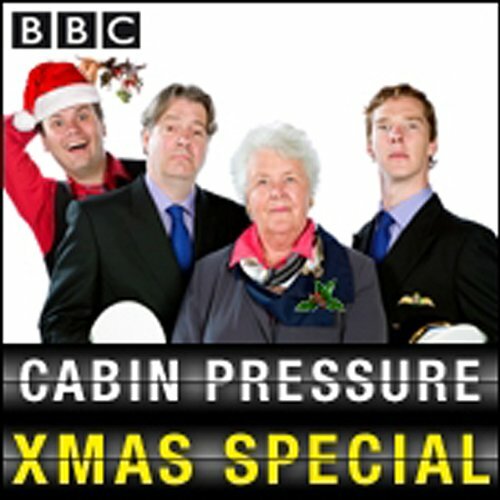 What made the experience of listening to Cabin Pressure: Molokai (Christmas Special 2010) the most enjoyable? I love the Cabin Pressure series. They are all hilarious. 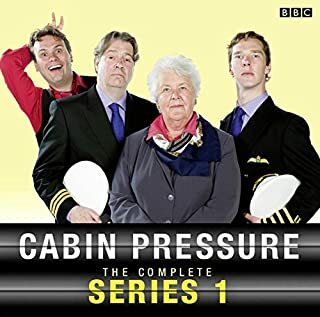 What other book might you compare Cabin Pressure: Molokai (Christmas Special 2010) to and why? The other Cabin Pressure series. Have you listened to any of Stephanie Cole and Benedict Cumberbatch ’s other performances before? How does this one compare? I've got all the Cabin Pressure series and I listen to them over and over again. 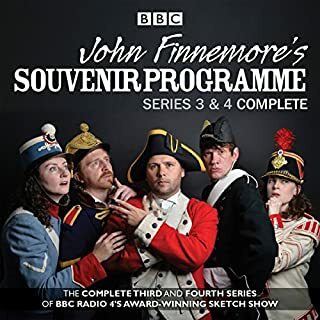 This is at the high standard you can expect, not only from John Finnemore's writing, but also from Stephanie Cole, Roger Allam, Benedict Cumberbatch and John Finnemore as performers. I don't want to mention my favourite moment as it's a spoiler - it's the very end - and as Arthur says it's Brilliant! I just love Cabin Pressure. I was suprised to see this little gem and enjoyed it very much. They always make me laugh out loud! Arthur keeps the Christmas spirit! If you love Cabin Pressure you won't be disappointed by this Christmas special that really does a very good job of authentically celebrating Christmas with these excellent characters. Very Christmassy, but you could listen to it at any time of the year. It's an MJN Christmas. Brilliant! It's Christmas and the crew of MJN are as busy as Santa's elves (and Arthur is definitely as excitable as one). Join Carolyn, Martin, Douglas and Arthur for some festive fun in this half-hour Christmas special, Molokai (which is an island in Hawai'i). 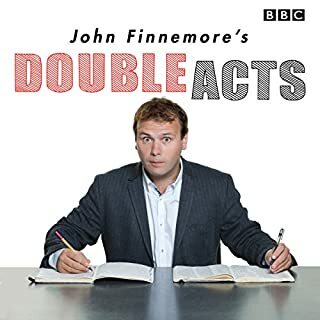 As usual, John Finnemore's script is laugh our loud funny and the performances are outstanding. 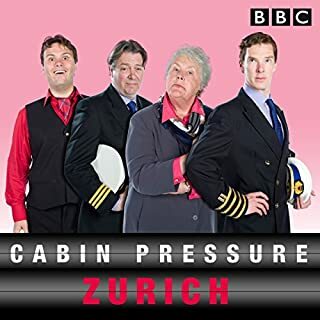 Whether you're a seasoned Cabin Pressure fan, or testing out an episode, you'll find this audiobook is brilliant. I was thrilled to find that there was another episode of Cabin Pressure I hadn't listened to yet. It really cracks me up. The voice talent is just top notch. very funny and well acted. great well known british actors make this a fun listen. From Arthur’s “Get Dressed You Merry Gentlemen!” and the debate over the “God Rest” to “Deck the Halls with Martin’s Brolly,” Gerti’s crew manage to be festive up in the air on Christmas Day - complete with a scheme by Douglas to get the expensive alcohol foiled again...a true gem in this beloved series. Another great episode of this brilliant radio comedy. In the words of Arthur Cabin Pressure is Brilliant! I have listened to all the series time and time again and never tire of it. Hilarious! I don't need to write too much here - if you've got this far then you'll know what pure delight can be had by letting Cabin Pressure into your life. Forget religion, exercise, meat-free diets and colonic irrigation - their effects are semi-permanent. For true, stress free living, grab a comfy chair, a mug of something warm and listen to comedy perfection. If by some miracle you're still reading this and you have no idea what I'm talking about then search Audible for the four series of Cabin Pressure and start there. Brilliant! Can listen over and over again. Just the kind of Christmas you would expect from MJM Airlines. Another hilarious audio book from Cabin Pressure. I love all the characters and once again I laughed out loud countless times. Brilliant. 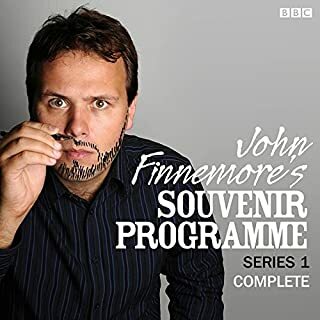 So, the genius of John Finnemore and the superb acting crew of GERTY. WONDERFUL and joyous story of Carolyn booking everyone to fly once more without their consent and yet it all works out brilliantly and christmassily. Love all the cabin pressure series. If you haven't listened to series 1, I'd recommend starting there before this. absolutely love Cabin Pressure! sarcastic and witty, it's a great combination and the actors are brilliant! So funny and entertaining, great listen and never old. amazingly good performances. belly laughs all around. Very funny, thoroughly enjoyed it. Great characters, amusing storyline. I would recommend this to anyone. Unbelievably funny and recommended for anyone with a sense of humour. You'll never hear God Rest Ye, Merry, Gentlemen without chuckling on the inside. Or the outside.